LOS ANGELES--(BUSINESS WIRE)--Jul. 28, 2015-- AECOM (NYSE:ACM), a premier, fully integrated global infrastructure firm, announced today that U.S. Air Force retired Gen. Janet C. Wolfenbarger will join its Board of Directors effective Aug. 1. A 35-year veteran of the Air Force and the branch’s first four-star female general, Wolfenbarger commanded the Air Force Materiel Command (AFMC) at Wright-Patterson Air Force Base in Ohio from 2012 until her retirement on July 1, 2015. Among the Air Force’s largest major commands, the AFMC employs roughly 80,000 people and manages $60 billion annually in its efforts globally to maintain Air Force preparedness. Wolfenbarger was also the vice commander and director of the AFMC Intelligence and Requirements Directorate at Wright-Patterson AFB. 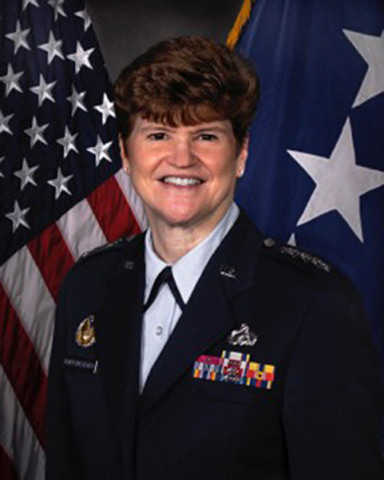 As part of a decorated and pioneering military career, which included being among the first female cadets accepted into the Air Force Academy in 1976, Wolfenbarger served as the military deputy to the Assistant Secretary of the Air Force for Acquisition and as the service’s director of the Acquisition Center of Excellence at the Pentagon. She also directed the B-2 System Program Office and commanded the C-17 Systems Group for the Aeronautical Systems Center at Wright-Patterson. She began her career as a technical intelligence analyst in the armament division at Eglin Air Force Base in Florida. AECOM is a premier, fully integrated professional and technical services firm positioned to design, build, finance and operate infrastructure assets around the world for public- and private-sector clients. With nearly 100,000 employees — including architects, engineers, designers, planners, scientists and management and construction services professionals — serving clients in over 150 countries around the world, AECOM is ranked as the #1 engineering design firm by revenue in Engineering News-Record magazine’s annual industry rankings, and has been recognized by Fortune magazine as a World’s Most Admired Company. The firm is a leader in all of the key markets that it serves, including transportation, facilities, environmental, energy, oil and gas, water, high-rise buildings and government. AECOM provides a blend of global reach, local knowledge, innovation and technical excellence in delivering customized and creative solutions that meet the needs of clients’ projects. A Fortune 500 firm, AECOM companies, including URS Corporation and Hunt Construction Group, had revenue of approximately $19 billion during the 12 months ended March 31, 2015. More information on AECOM and its services can be found at www.aecom.com.